We've been trying to make good with a new one!! It's basically a good design but there are some bits that just don't work for us, including fixed perches and the slide out floor under them. If I had three hands and arms long enough to hold open a flap and slide out an eight foot long bit of flooring it would be fine ... but I don't!! Thats the trouble. I think they're designed well on paper but not by people who have to use them. I've been building my own for years and everytime I change the design to make it more user friendly (for me!). One day I'll get to the perfect chicken coop. 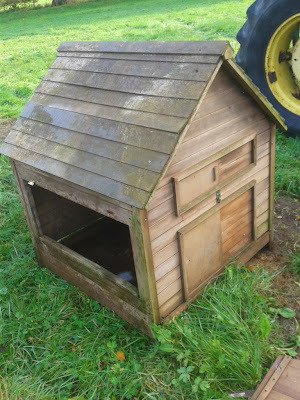 I have my coop up off of the ground, my old one was low and mice got under it as well as other animals that tried to tear through the floor to get the birds. I think it keeps the dampness under control as well. The hens like to get under the coop and take dust baths when it is wet out. You were lucky to get the old coop. I'll try to keep my numbers down. But these are the little girls favorites! 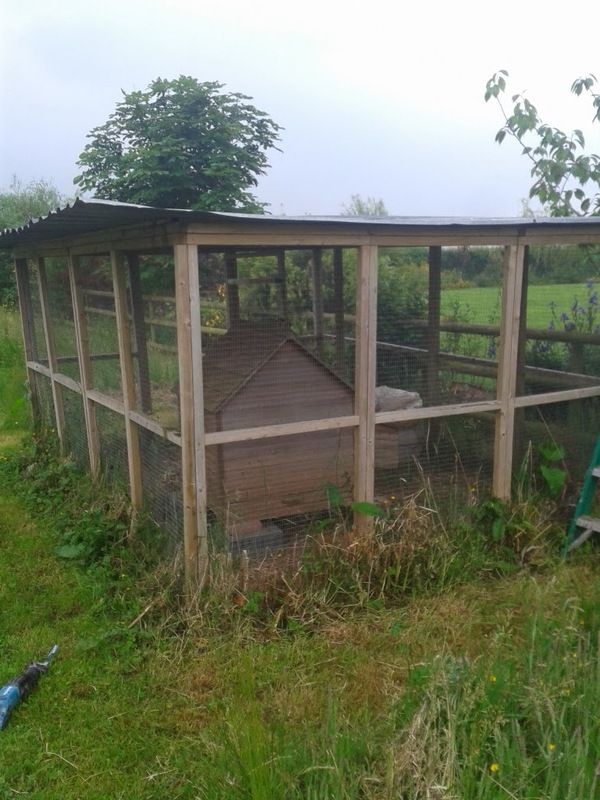 On my list for 2014: one muther of a chicken run all enclosed with chicken wire in which I can raise guinea fowl as well plus another enclosure for geese. It will mean digging another pond but I like ponds! Sounds good! I'm looking forward to hearing how many people you have to bribe to get the materials to build it! I'd love a pond but I'll wait until the girls can swim first! Looks like a good fit. Hope you have a wonderful new year!